What to do on a grey day in January? 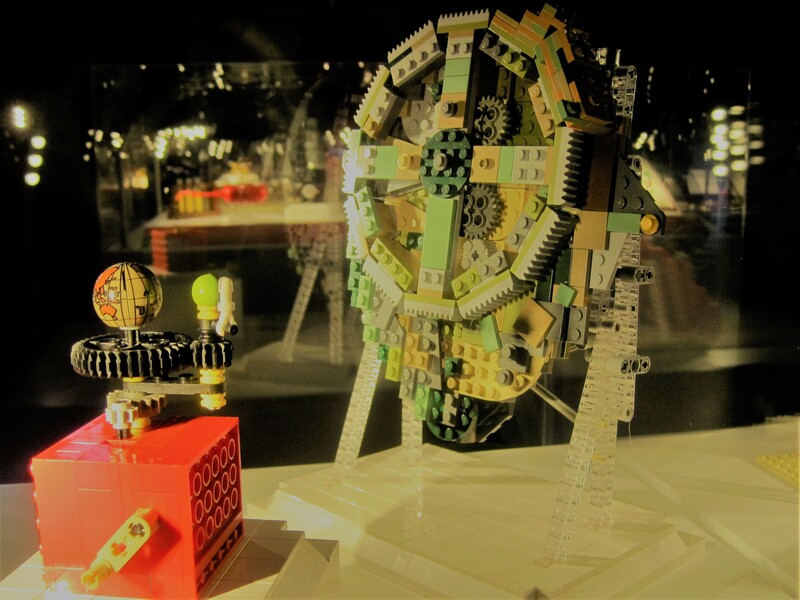 Why, visit a Lego exhibition, of course. 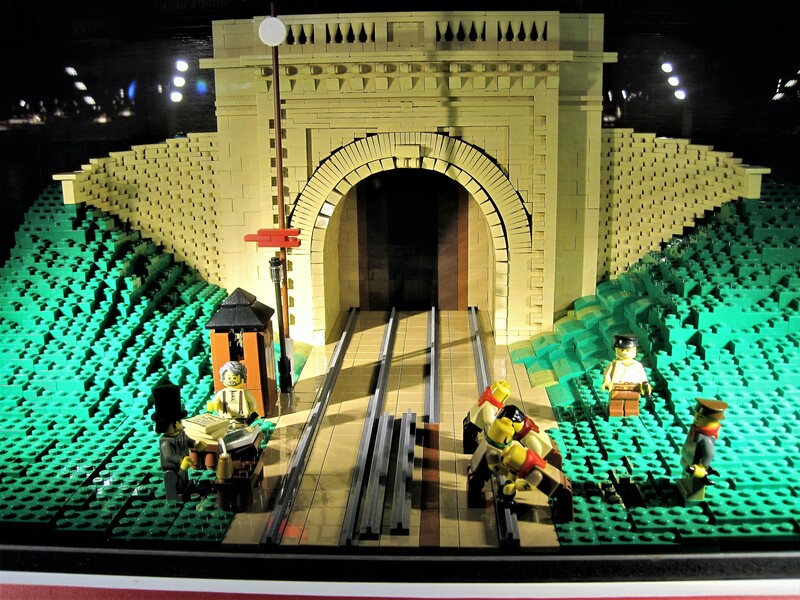 A walk through time, in bricks, at Preston Park Museum. Amazing what you can do with a few bricks, isn’t it? The captions should help if you’re bemused. All part of Saturday’s rich entertainment, as is Debbie’s Six Word Saturday. Enjoy your day! LEGO!!!! Fantastic … that would brighten up any day for me. I never played with Lego as a kid, but I think it’s such a magical idea. They aren’t doing that well anymore, for some reason – all kids are on the iPad those days. They was taking about Lego’s problems on the news just before Christmas, so sad. I thought you were away from when I read it … Preston isn’t in your end of the world. Yes, their sells has gone down … server drops. Yes 🙂 🙂 If you hover over the photos (or if you view them in a gallery) you can see the captions. We had far less choice of Lego parts back in those days, Annika. It’s all very technical now, with moving parts. 🙂 🙂 I’ve always enjoyed it though. The Cathedral at Durham has a Lego replica in the complex. It was used as a ‘buy a brick’ fund raiser. 🙂 🙂 Could wish for warmer weather, Gilly, but it is January. Not long now! I love Lego and so did my children. We never played with dolls – construction was the thing! Great series! It’s in such a nice location, too, Lisa. Had it been a sunnier day we’d have had a riverside stroll. 🙂 🙂 I’m sure the weather gods will be smiling on you today? How fabulous is that?! Dave has always loved LEGO and this so too did his son. We still have a huge tub of it which visiting kids love! I think you would love it Jo. Just watch out for those lizards! My daughter would love this. She’s a lego collector. Both of mine were too, Suzy. 🙂 🙂 Got the bug! What a fun exhibit! 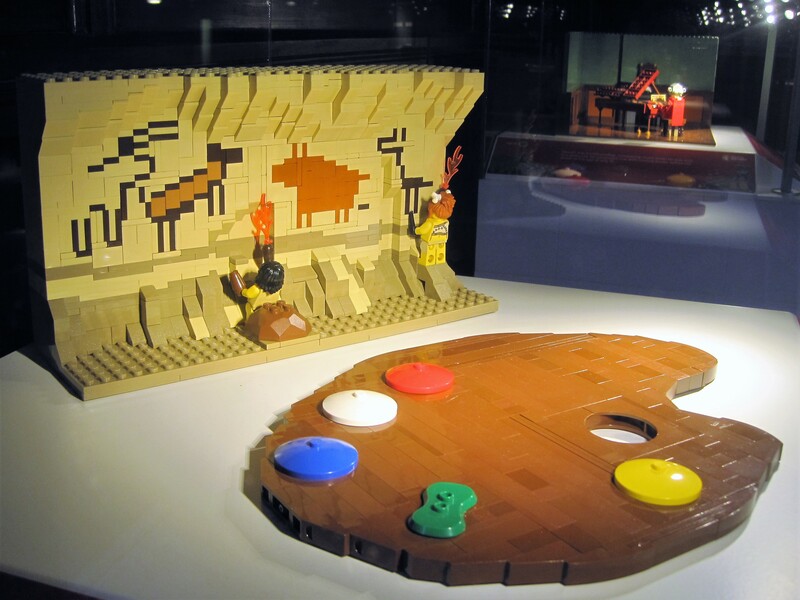 I’ve seen large-scale Lego projects before and I never tire of examining them. I am always impressed with the fact the artist has to envision their work from the smallest initial piece and then keep to scale! You’re so right about the smiles! Smiles on Saturday carried over into Sunday. 🙂 🙂 Can’t be a bad thing, can it, Debbie? Wishing you a lovely day! Lego has come along way since my kids childhood. So much work to create these scenes. It won’t take nearly as long to dismantle it all at the end. I love the way each one tells a story. I wonder…do they pack each one separately or does it all just go in one big container. 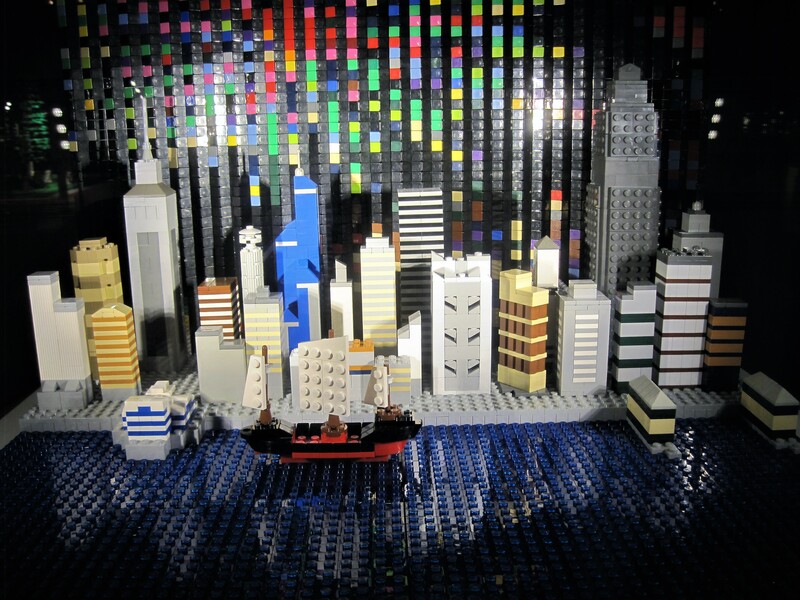 What people can make with Legos is truly amazing, Jo. The arboretum near us had an exhibit a few years ago that was quite something, nothing like what we and the girls made with their Legos and Duplos. 🙂 We still keep these in a box in the garage, ostensibly for anyone with children who visit, but they haven’t been out of the box for some years. Just hard to get rid of.